Well, it's that time of year again - when we get to watch celebrities slum it in the jungle from the comfort of our couches. But the only problem was this year's contestants seemed to be lacking in any serious star power, with no international celebrities joining the cast. 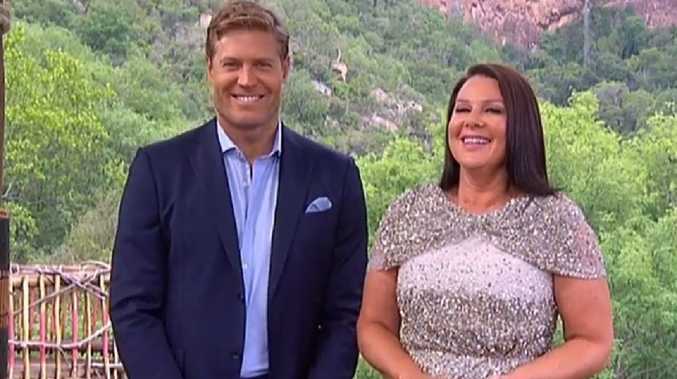 Hosts Dr Chris Brown and comedian Julia Morris kicked off the episode by announcing there would be a "twist" this season. Instead of just one camp, this year's celebrities would be split into two factions - one which had couches and comfy cushions, while the other one was sparsely furnished with a dreaded double bunk. To make matters worse, those in the bad camp had to cook and clean for the other group. "What you're getting bascially is the haves versus the erghs situation," Morris said. 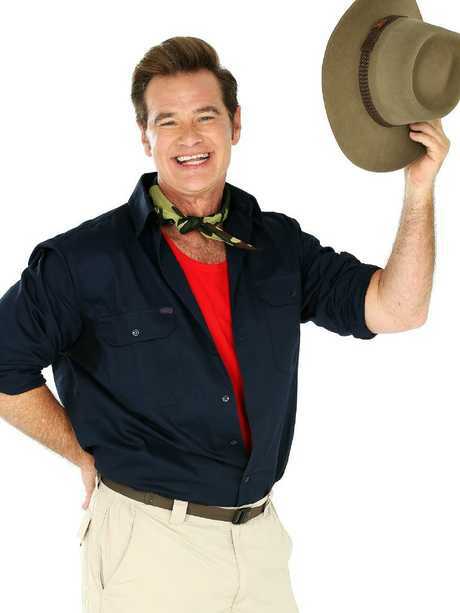 First to arrive was gossip reporter Richard Reid, followed by former Tasmanian senator Jacqui Lambie - who basically confirmed she was using I'm A Celebrity as a re-election campaign by announcing she was a "freelance" senator hoping to get back into parliament. Despite bonding over Botox, as team captains Reid and Lambie, were soon pitted against each other in a challenge. Both had answer questions about the other celebrities and get sprayed with colour dye if they were wrong. Lambie emerged victorious from the challenge which meant she got an advantage as one of the team captains. Back at base, first to arrive were Luke Jacobz and Ajay Rochester, who while polite clearly had no idea who the other person was. "I don't have a lot of celebrity friends," Rochester explained to producers afterwards. Next to arrive was Dermott Brereton, followed by newsreader Natasha Exelby, former MasterChef star Justine Schofield, Love Island's Justin Lacko, Fat Pizza's Tahir Bilgic and Sam Dastyari. Despite being arguably the least famous of the lineup, Lacko appeared to struggle the most to recognise who each star was, incorrectly calling Schofield "Simone". Viewers watching at home weren't impressed with the line up, taking to Twitter to vent that it was like "better than a game of Guess Who". After getting acquainted with each other it was time to split into opposing teams and face off in their first challenge. Lacko and Simone - sorry we mean Schofield - copped the worst of it, standing in the snake pit as their teammates tried to collect tokens. The red team led by Lambie emerged victorious from the first trial, and couldn't have been more excited to learn they wouldn't have to clean or cook that night and inspected their beds. "On the other side of the fence it really does look like hell," Rochester said bluntly. "It's like Club Med this side and The Bronx that side," Lambie added. In an unusual move, Ten decided to announce a slew of celebrities in the days leading up to Sunday's premiere. 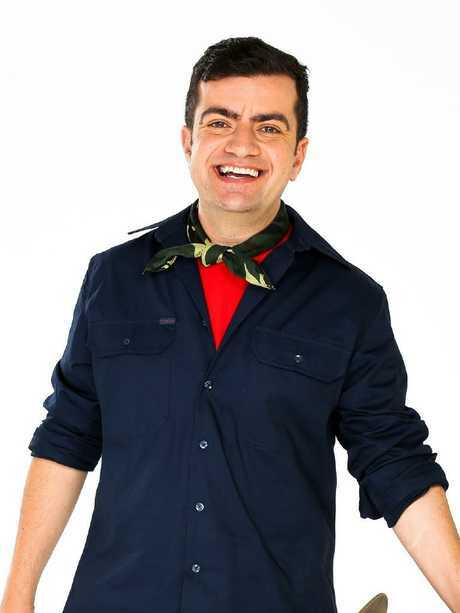 Sam Dastyari and Lambie confirmed weeks of speculation that they were the "controversial politicians" appearing on the reality show. 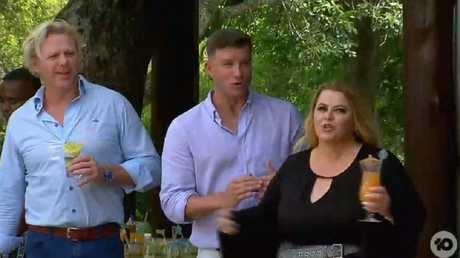 Before entering the jungle Lambie promised she will be "stirring up a lot of s**t" in order to win. "I'm coming in there to break them. I want them down and out so I can bring home the trophy," she said. Footy legend Dermott Brereton was revealed on Sunday morning as the AFL champion known for his hair raising play alongside US "gossip guru" Reid. "I think karma is coming to bite me in the bum! I have laughed at these people for so long and judged them and gone, 'oh that's easy' and now it's all coming around on me," Yvie said.